Finally! The holidays are over and I can share with you this year’s crafting project: POTHOLDERS. Yup. 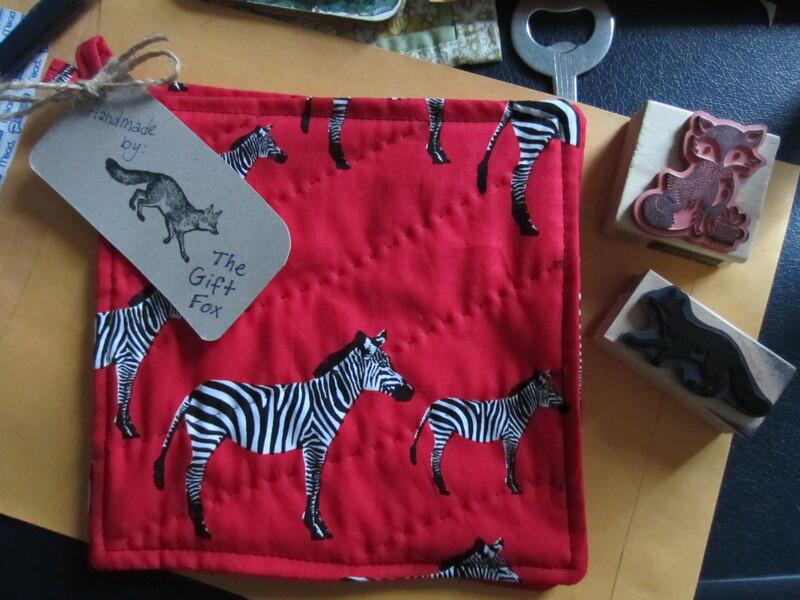 They were simple to make, easy to hand-quilt, and lovely to wrap up in fox wrapping paper and send on their merry way. 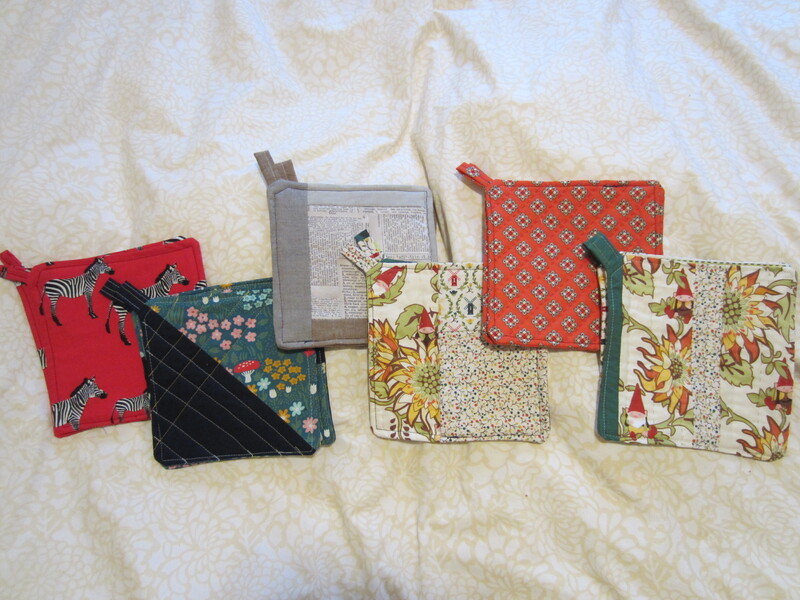 Unfortunately, I ran out of batting, so could only make 7 pairs of potholders, when really I meant to sew 12 pairs. What kind of batting did you use for the potholders? Great question! 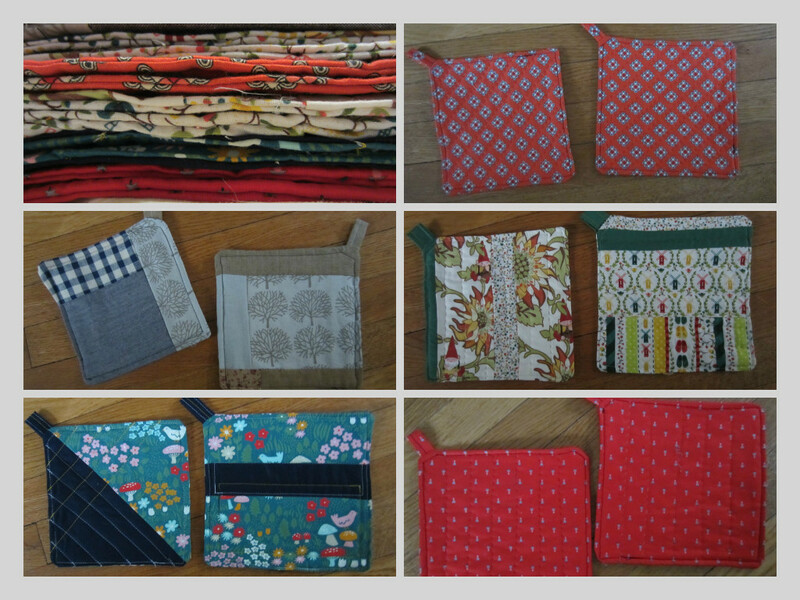 Since I was trying to use up all my leftovers, I ended up using scraps of cotton batting. The cotton batting is good because it’s denser, and I think should be better at protecting hands from the oven heat. However, in the future, I’d definitely used 2 layers of cotton batting. One layer of it is a bit thin, so my potholders will probably only be good for handling moderately hot stuff (like moving hot saucepans around on the stove). Hope this helps!